Jay Z’s sixth album. Release date: September 11, 2001. The Blueprint is the sixth studio album by American rapper Jay-Z, released on September 11, 2001, on Roc-A-Fella Records in the United States. Its release was set a week earlier than initially planned in order to combat bootlegging. Recording sessions for the album took place during 2001 at Manhattan Center Studios and Baseline Studios in New York City. Contrasting the radio-friendly sound of Jay-Z’s previous work, The Blueprint features soul-based sampling and production handled primarily by Kanye West and Just Blaze. At the time of its recording, Jay-Z was awaiting two criminal trials, one for gun possession and another for assault, and had become one of Hip Hop’s most dissed artists, receiving insults from rappers such as Nas, Prodigy, and Jadakiss. The album is also famous for both its producers Kanye West and Just Blaze’s breakouts as major producers. Kanye West produced 4 of the 13 tracks on the album, including the song “Izzo (H.O.V.A. )” and the controversial track which included diss lyrics aimed at rappers Nas and Prodigy, “Takeover” while Just Blaze produced 3 tracks including “Girls, Girls, Girls”, “Song Cry”, and “U Don’t Know”, in addition produced the hidden bonus track “Breathe Easy (Lyrical Exercise)”. 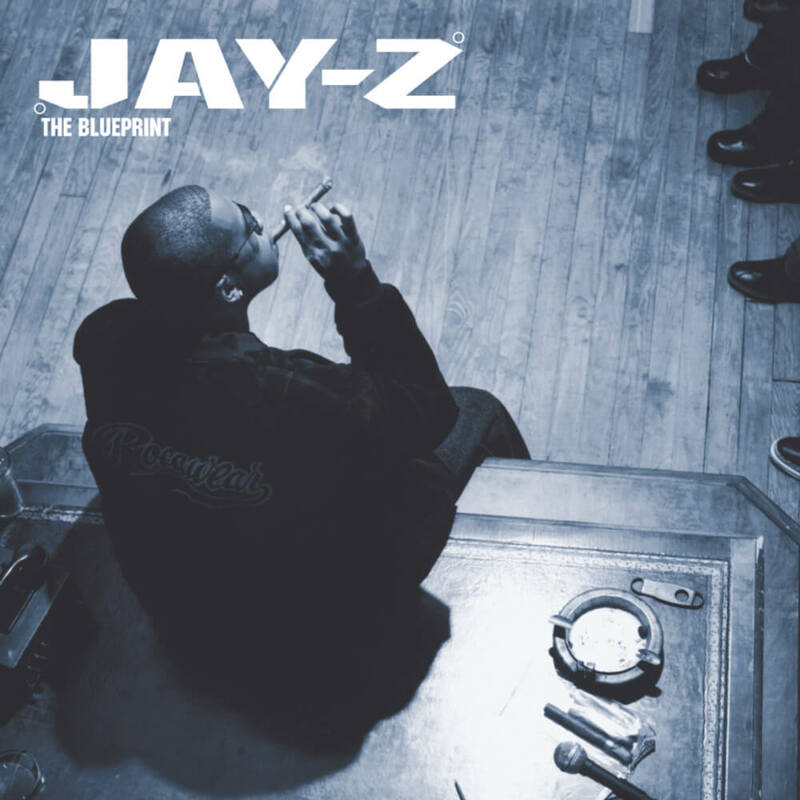 Upon its release, The Blueprint received universal acclaim, with critics praising Jay-Z’s lyricism and the production, and is considered one of Jay-Z’s best albums and has been labeled as one of the greatest Hip Hop albums of all time. The Blueprint was reportedly cut in two weeks, with Jay-Z allegedly writing the lyrics in two days. At the time, he was awaiting two criminal trials for gun possession and assault. He was also engaged in feuds with various rappers, in particular Nas and Mobb Deep member Prodigy. In the song “Takeover”, Jay-Z attacks the two Queensbridge rappers, using a sample of the song “Five to One” by The Doors and an interpolation of David Bowie’s “Fame”. On The Blueprint, Jay-Z and his producers used vintage soul as inspiration, including a vocal sample on almost every track from such artists as Al Green, Bobby “Blue” Bland, David Ruffin and The Jackson 5. Exceptions include “Jigga That N****,” “Hola Hovito,” and “Renegade,” a track produced by and featuring Eminem, and the only track on the album featuring another rapper on verses.